Is it time to get that septic tank cleaned out and jetted? If you’re starting to notice a bad odor, if the toilets are flushing slower, or if it’s just been a while and you want to avoid issues- then it’s most definitely time to give us here at Hemley’s a call! We’ve been serving Kitsap, Puyallup, Tacoma, Port Orchard, Silverdale, Gig Harbor, and Key Peninsula since 1962. Yes, 1962! 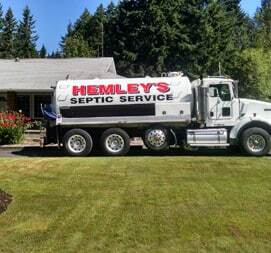 We know septic tanks, and we know the greater Seattle area like the back of our hand. We understand the problems this area can face when it comes septic tank damage and we know just how to solve those problems, and we especially know what NOT to do. I suppose that’s why we’ve been the area’s most trusted Septic Service for almost 50 years! Foul Odor – if you’re smelling a bad odor around where the tank is, it might be time to get a team of professionals from Hemley’s out to your place for an inspection. A lot of times we can get in there and clean out the system for you, without the blockage ever causing serious damage. And this can save you thousands of dollars! Slow Flushing Toilets – slow flushing toilets aren’t just annoying, they are a sign of some blockage or sludge build up. Should you notice the toilets in your home are all a bit slower to flush, and it doesn’t seem to improve in time, it’s time to give us a call. We’ll get our jetting truck over to you and clean out the system. Your toilets will be flushing like new before you know it. Wet and Soggy areas around the drain field – if you notice there’s just that one area that’s always extra soggy or wet, it could mean a serious back up. Again- give us a call as soon as you notice this. Acting fast can save you a lot of trouble and money. We’ll diagnose the problem, and fix it for you. 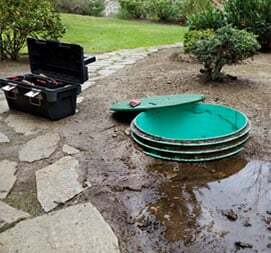 If you suspect there could be blockage or damage to your septic tank system, call us! 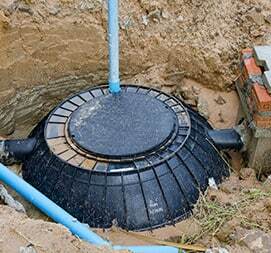 So, what exactly is Jetting a septic tank system? We get this question a lot. To us, it’s really rather simple, but we understand not everyone has been jetting septic tanks for almost 50 years so we’ll do our best to explain it to you. Essentially, Jetting is using a high powered water pressure system to literally just blow all that sludge and build up and out of the way of your system. We use a truck mounted hose that will, with a lot of pressure, blow water at any blockage, debris, or buildup and thus break it all up and clear the lines! Think of it like pressure washing your siding, or porch, or anything else that needs a touch up from time to time. The only difference is, this jetting is incredibly important to the well being of your home. Much like the veins in our body that keep the heart working properly, the septic tank system is crucial to the home and its plumbing. If there’s build-up or clogs, it will back up and things will start falling apart! This is why we always recommend you get your system jetted at least every 4 years, and if you ever suspect a blockage you don’t wait and call us immediately. We all know it’s true- the Northwest is a beautiful and almost magical place to live! The trees are so massive, and often times make our area seem like it’s straight out of a fairy tale. However, we also know that with this old, big tree’s comes old and big roots. And when these roots grow and meet up with your septic tank system- this causes a HUGE problem. Though it can happen slowly, the roots of the tree’s here in the Northwest can and often do, puncture septic tanks, piping, and even the foundation of homes with basements. This is why we provide our tree and root removal service should you have a root problem or want to avoid one. When it comes to septic tanks, we want to be proactive and make sure all possible problems are taken care of- because this gives you peace of mind and will, of course, save you thousands down the road. Why us here at Hemley’s? Aside from the decades of experience, we have within the greater Seattle area, we do everything we can to keep the septic tank system you have in working order for as long as possible. Replacing the system can be costly, and stressful- and many times completely unnecessary. When we come and jet out your septic system, we don’t just stop at breaking away the sludge or debris- we will make sure we fully remove it all too. This is something that most companies don’t bother doing anymore- and the problem with that is all that Deri will just flow right back where it was and clog it again. While this is some fine job security, we consider it poor service- we simply won’t leave until we are sure everything is removed and there’s no way the system can get clogged again. It’s just another reason we’re the most trusted service! Fun Tip: Store our number in your phone! 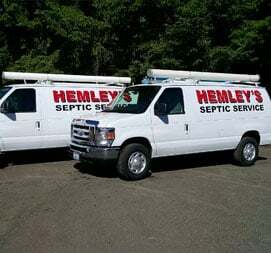 The last thing you need is to have a septic emergency and not know who to call. Put our number in your phone and know you’ve got the best team on the way to help!